Whose Water? | Whose Water? Whose Water? at CONVERGENCE // DIVERGENCE installation at Los Medanos Art Gallery, Pittsburg, CA, 2012. A Women Environmental Artists Directory contemporary eco-art exhibition in conjunction with Waterwheel. Four posters with water facts and plastic water bottles collected by students on the Los Medanos College campus. Whose Water? 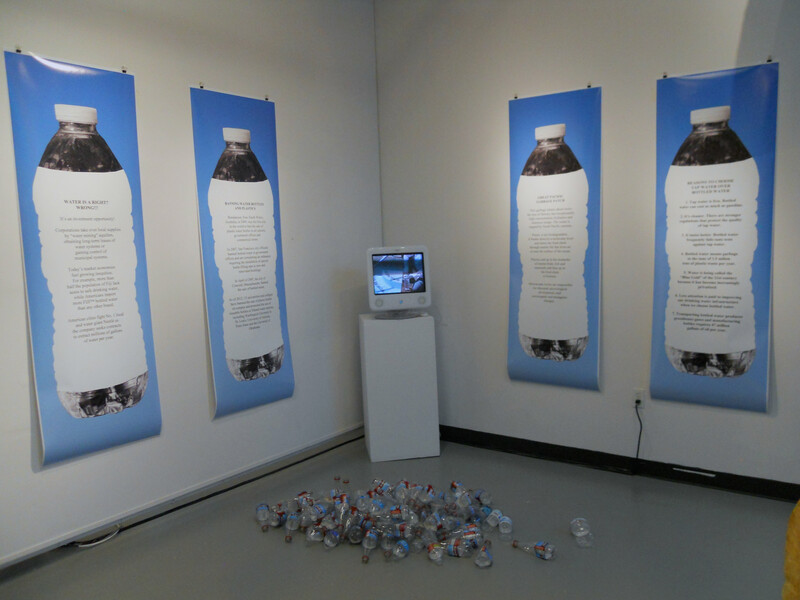 was installed at CONVERGENCE // DIVERGENCE, Los Medanos College Art Gallery, Pittsburg, CA, 2012. View Whose Water?, AFKAW’s performance at Los Medanos Art Gallery, at Waterwheel.